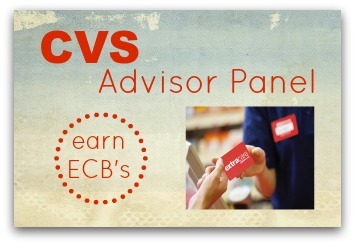 Have you considered becoming a CVS Advisor Panel Member? It’s FREE to join, and it’s a program that CVS runs to help them make stores and products better. When you complete surveys you earn ExtraCare bucks! I’ve been a member for probably 4 years now, and while there aren’t a ton of surveys, there are probably 3-4 per year. Each survey that you qualify for pays $5-$10 ExtraCare Bucks, plus many times if you don’t qualify for the survey after a few questions, you still get something for your time. To get registered, head over to the CVS Advisor Page to join. You will need to fill out an initial questionnaire survey that takes about 5-7 minutes.